Benzodiazepines help patients cope with severe anxiety, panic disorder, or sleep problems; prescription opioids can help relieve severe pain. When prescribed appropriately and with sufficient monitoring, either medication is relatively safe, especially for short-term use. If a health professional decides a patient needs the benefits of dual therapy—an opioid plus a benzodiazepine—careful monitoring becomes especially important. Either medication can cause respiratory depression, and the combined respiratory effects can lead to serious problems; overdose, even death. Yet, according to the authors of the study described below, dual prescribing is becoming an increasingly common therapeutic tool. A team from Stanford University School of Medicine, the University of California at San Francisco, and the VA Palo Alto Health Care System, undertook a study to identify the effects of therapy combining an opioid with a benzodiazepine. Using data from 315,428 privately insured U.S. patients aged 18-64 who had dual prescriptions, the team determined the yearly incidence of hospital visits for opioid overdose. BMJ published the results of the study on March 14. In 2001, only about 1 in 10 patients taking opioids were also taking a benzodiazepine; by 2013, the figure had almost doubled. Driving the increase was a rise in the number of patients taking an opioid intermittently rather than chronically. Today, benzodiazepines are present in about 1 in 3 fatalities attributed to “opioid” overdoses, a finding that is causing increasing concern among policymakers and caregivers. In 2016, two government agencies became sufficiently alarmed to take action. 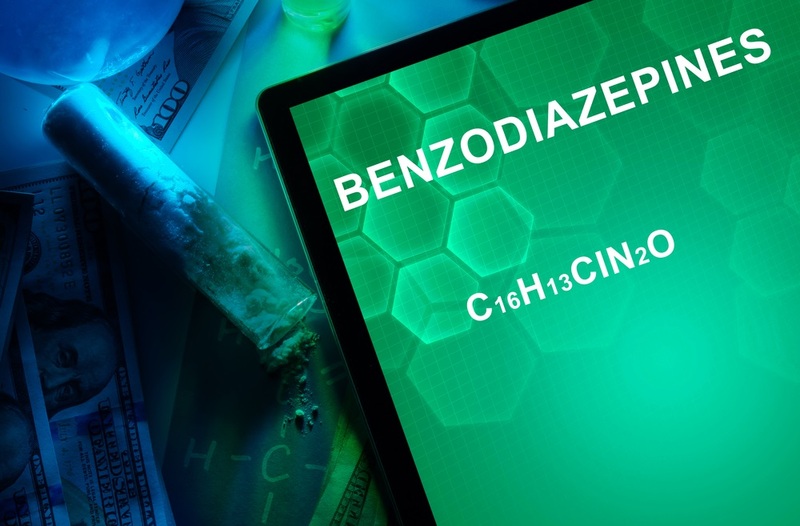 The Centers for Disease Control and Prevention (CDC) published guidelines urging clinicians to avoid prescribing benzodiazepines and opioids simultaneously. The Food and Drug Administration (FDA) established a requirement for Black Box warnings—the highest alert level—on product labels and other printed material, noting the problems associated with dual prescribing. They recommend educational programs warning prescribers and patients about the risks of dual prescribing, and suggest that the Veterans Health Administration’s system-wide opioid safety initiative (https://www.va.gov/PAINMANAGEMENT/Opioid_Safety_Initiative_Toolkit.asp) could be used as a model. Sun EC, Dixit A, Humphreys K, Darnall BD, Baker LC, Mackey S. Association between concurrent use of prescription opioids and benzodiazepines and overdose: retrospective analysis. BMJ. 2017;356:j760. doi: https://doi.org/10.1136/bmj.j760. Karaca-Mandic P, Meara E, Morden NE. The growing problem of co-treatment with opioids and benzodiazepines [editorial]. BMJ. 2017;356:j1224. doi: https://doi.org/10.1136/bmj.j1224.